SMOK's entry into the all-in-one e-cig arena combines a 1600mAh battery with an integrated sub-ohm tank to create a tiny device while packing the kind of punch Smok vaping devices are known for. Available in a range of metallic shades, this beautifully designed pen style piece of vape equipment features a built in leak proof glass tank and a top rotary cap, making it easier to refill on the go. 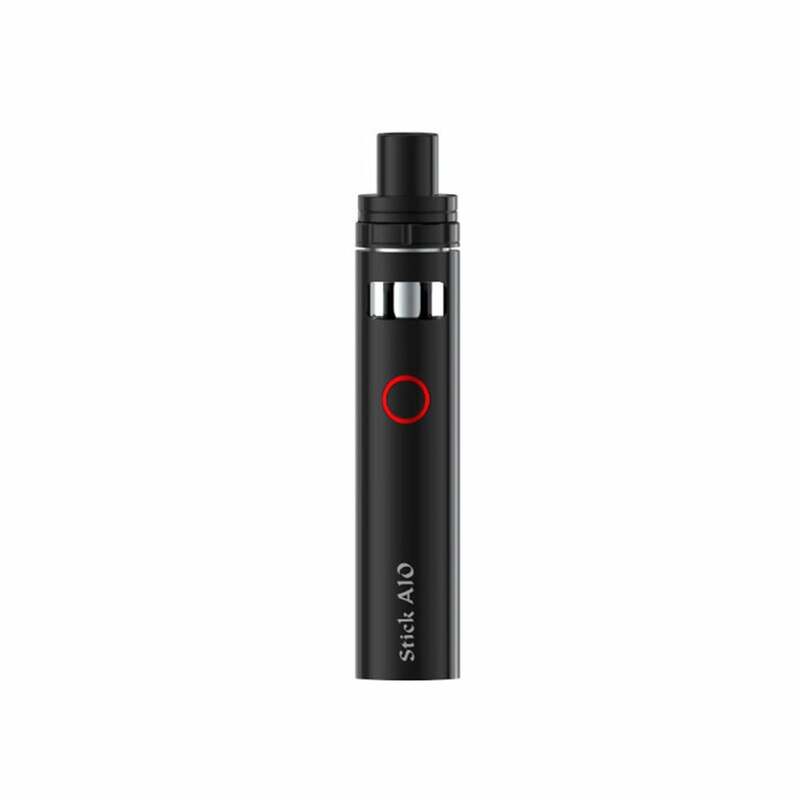 The pocket size Smok Stick AIO vape pen has a 1600mAh battery, an LED indicator, along with multiple safety features, including eight second protection, low resistance protection, short circuit protection, and low voltage protection. With a 2ml e-liquid capacity, and a 22mm (D) x 115mm (H) x 95g (W) size, this small but powerful vape pen is perfect for travelling, ready to quench your vape thirst wherever you are, producing big clouds and distinctive flavours. All this innovation inside one compact, sleek stainless steel package. A USB charging cable, pre installed .23 dual coils, plus an extra set of .23 dual coils, along with a user manual and spare parts are all included in the Smok AIO package. The dual coils have been expertly engineered to produce big, blossoming clouds, along with smooth, clean airflow and a soothing throat hit, stable vapour chasing, and balanced e-juice wicking via bidirectional 4-hole. The simple one-button-for-all design makes the Stick AIO extremely easy to use, making it a great option for beginners, with the same button for on and off. Battery notice: The intelligent battery indicator of Stick AIO will show clear prompts; the battery life indicator will blink 4 times each time you take a puff. When it blinks fast 15 times, this indicates that the voltage is lower than 3.3V, and it needs to be charged. The length of time your ecig battery will last depends on how often you use it, but as a guide, this battery should allow 12-14 hours of vaping before needing a recharge. A great looking vape and a good price for my entry into the sub ohm world. Works well, battery lasts a couple of days with my light usage. Only thing I would change is to have more warning when battery is running low. Also one of the coils in the kit was faulty, but they provide two so much better than most kits!